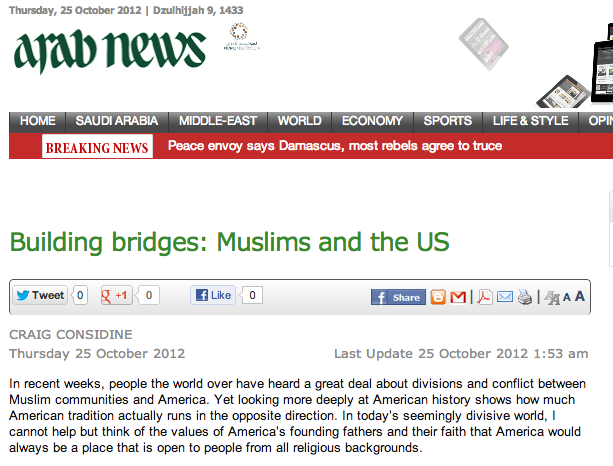 Arab News is an English-language daily newspaper published in Saudi Arabia. It is published simultaneously from Jeddah, Riyadh, and Dammam. The target audiences of the paper are businessmen, executives and diplomats. In addition to its domestic distribution in Saudi Arabia, Arab News has a wide range of international distribution, including United Arab Emirates, Kuwait, Bahrain, Qatar, Oman, Near East,North Africa, Europe and the USA.